About Us | Rainbow Coating System Pvt. Ltd.
Rainbow Coating System is established with a vision of re-creating innocent smiles & harmony to the human mind that strikes them when they see the most beautiful view of nature “RAINBOW”. Our founder with the team of the hard working Professional & the strong Research & Development team has promised to give their customers, the satisfaction by offering enhanced services with technological innovations that help to develop quality products to its excellence. We at Rainbow Coating System is committed to provide total Customer Satisfaction by offering enhanced services, establishing long-term working relationships with customers in order to understand and meet their individual needs. 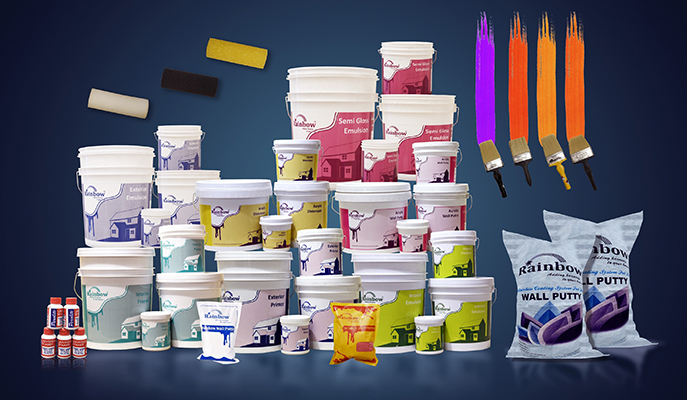 To be the most prominent coating solutions provider & to create a rainbow in every house. To develop and deliver innovative and best solutions for our customers, consistently outperforming our peers and providing a dynamic and challenging work environment for our employees.